Here, Dr Heiko Wildner, chief operating officer of materials comparison database, Matmatch and Manuel Guzmán Manzo, vice president of research, development and technological innovation at Molymet, explain the applications for rhenium and why it is indispensable for the high-tech world. Saffron is said to be the most expensive and rarest spice of all. Its annual production is around 200 tonnes. The metallic equivalent of saffron is rhenium with indispensable production of 60 tonnes. At a density of 21g/cm3, this translates into a volume of less than 3m3 or a sphere of a diameter of less than two meters. The metal is contained in the Earth’s crust in extremely sparse amounts and has been found to occur naturally only in a volcano on the Kuril Islands in Southeast Asia. It took until 1925 for rhenium to be isolated for the first time. In the periodic table of the elements, rhenium takes on a position between the refractory and noble metals. No primary sources of rhenium are at hand, but rhenium is extracted as a by-product from molybdenum concentrates, which themselves are a by-product of mining copper ores. Rhenium has a melting point of 3186º Celsius, which is the third highest melting point among all elements after carbon and tungsten. In terms of the boiling point, it ranks at top position with 5627º Celsius. Rhenium can show its superiority in applications that are subject to very hot temperatures and require stable structures. Unfortunately, rhenium oxidises rapidly in air at moderate temperatures, forming volatile oxides. It has very high strength at high temperatures and offers good cold working properties. 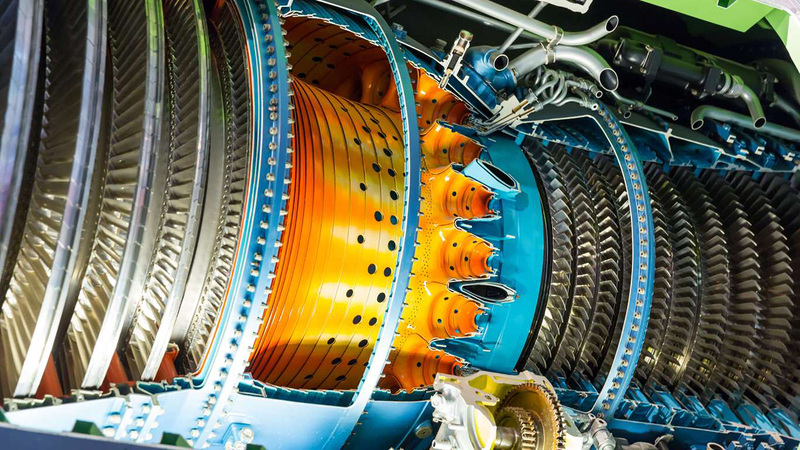 Today, the production of superalloys for jet engines represents the largest single use for rhenium. These nickel superalloys contain three to six per cent rhenium and are used in combustion chambers, turbine blades and propelling nozzles of jet plane engines. Additionally, rhenium has been used in the form of molybdenum-rhenium alloys in the aviation and electronics industry for reactors, semiconductors, electrical contacts, filaments and ignition wires. Molybdenum-tungsten-rhenium alloys are particularly well suited for use at very high temperatures or applications subject to high wear. Tungsten-rhenium alloys are also used in X-ray anodes in high-resolution X-ray equipment – for example in mammography, angiography and computed tomography. Luminescent rhenium complexes have been used in intracellular bio-applications because of their efficient cellular internalisation and attractive photophysical properties. Being a relatively ‘young’ element, researchers and developers still see great potential for rhenium in future applications. One of the most promising properties of rhenium alloys is their favourable biocompatibility, making them very attractive for the production of medical products. Specifically, molybdenum-rhenium alloys have performed better in implants than conventional titanium alloys.